Was at the Jalsa site on Sunday 22 July - Recognise this spot? 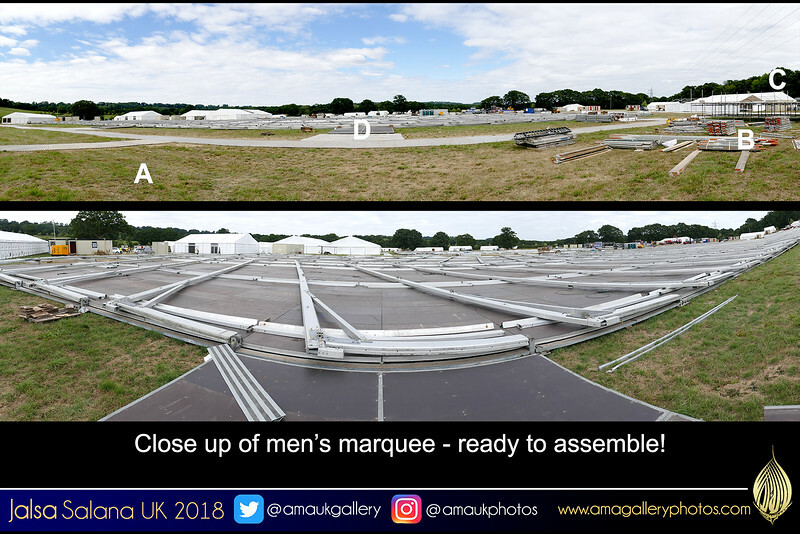 Between A and B is where the international flags are placed C is the MTA outside studios D is the men's marquee with close up below Never seen the marquee laid out flat before assembly! ITS HUGE!